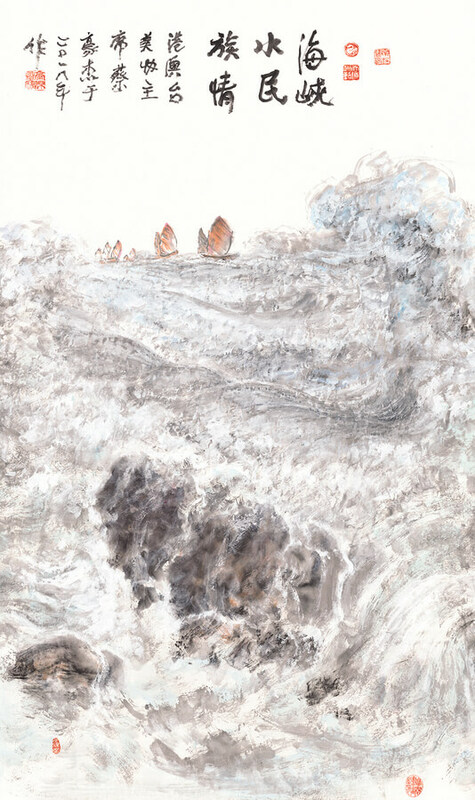 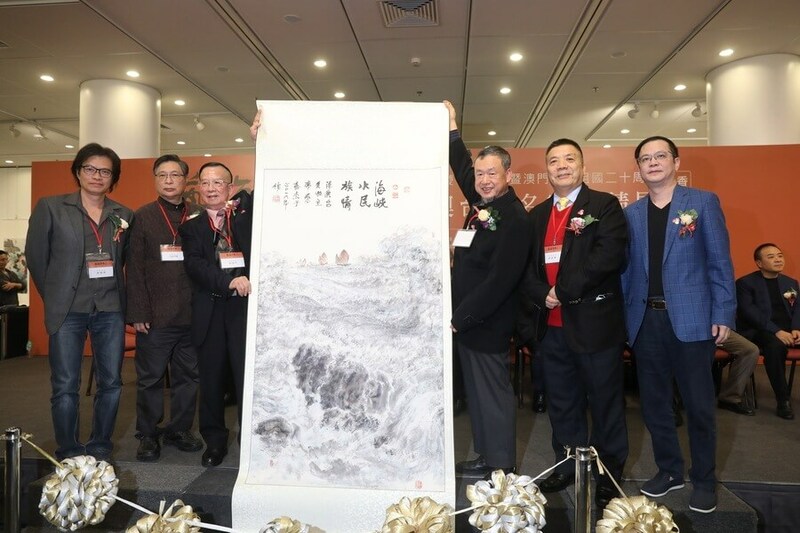 〝Art in the same boat〞Hong Kong , Macao,Taiwan and Shandong Famous Invitational Exhibition was grandly opened on January 25 at the Hong Kong Central Library Exhibition Hall. 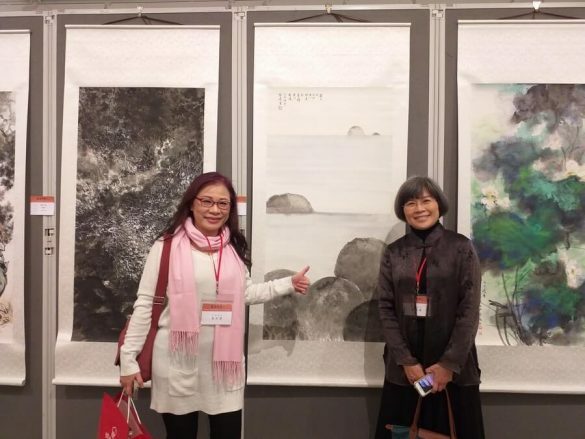 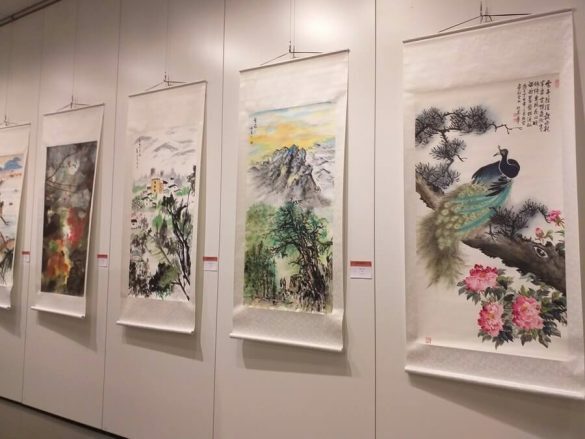 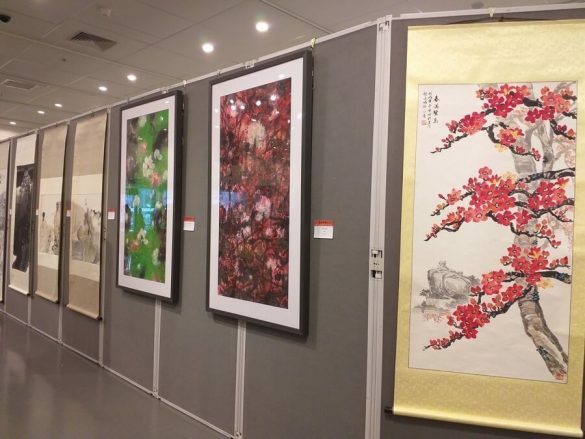 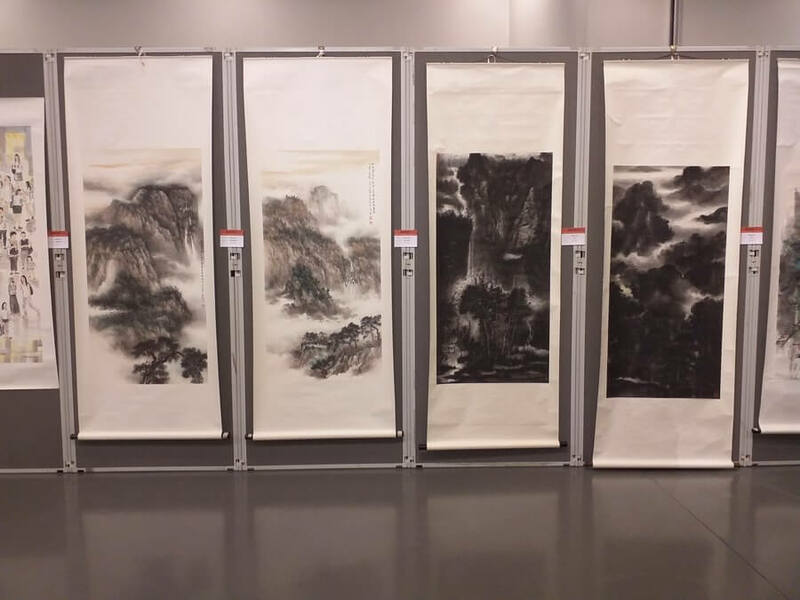 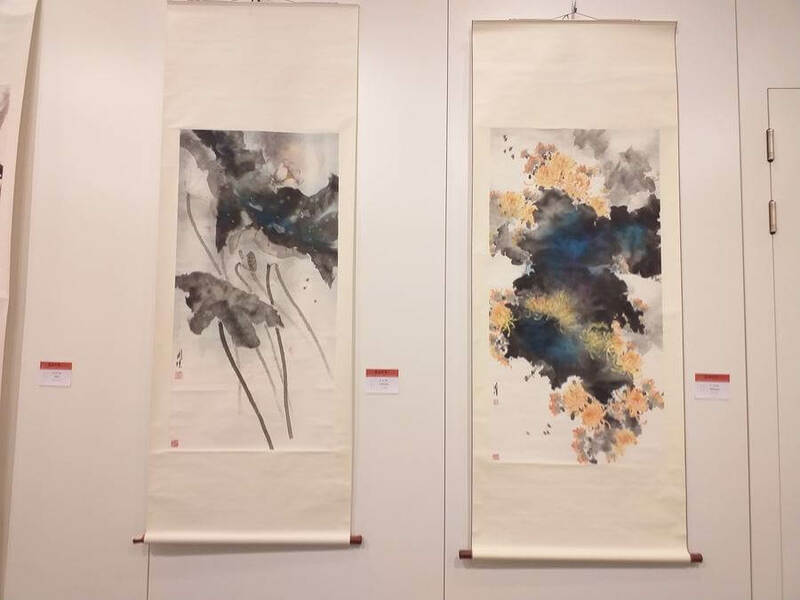 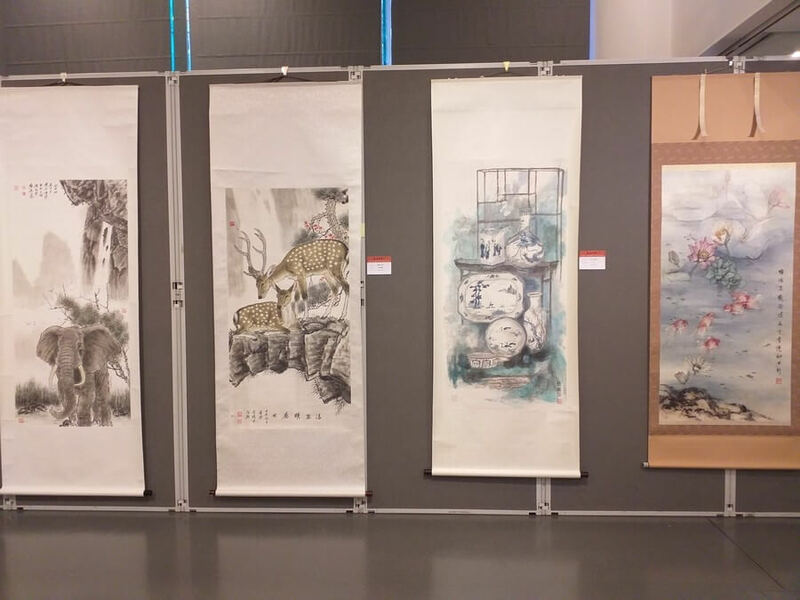 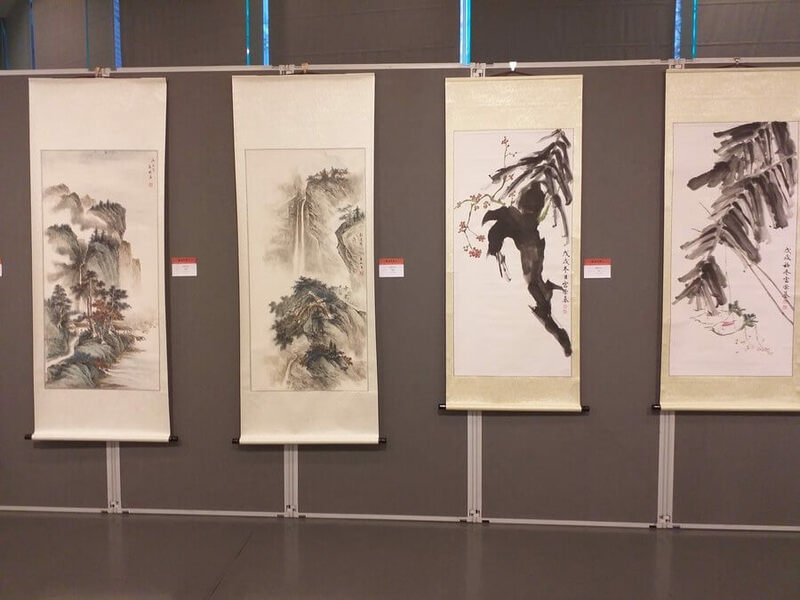 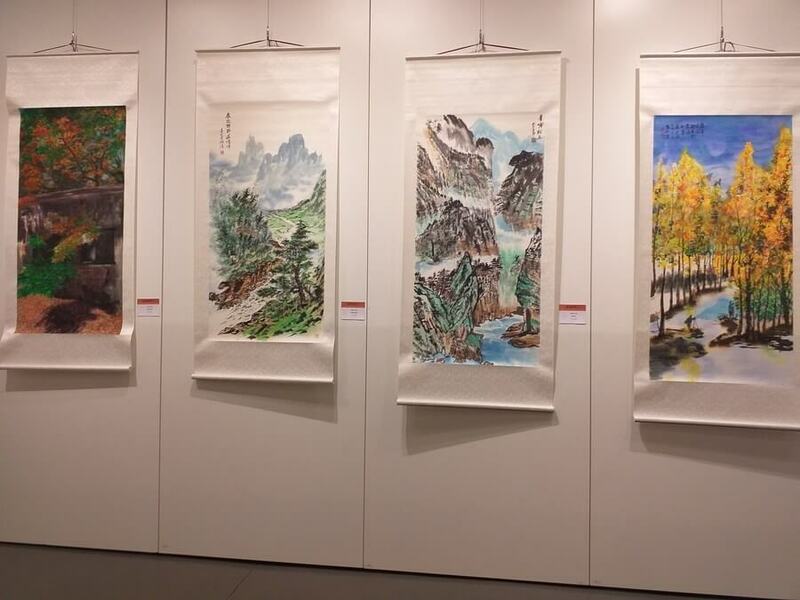 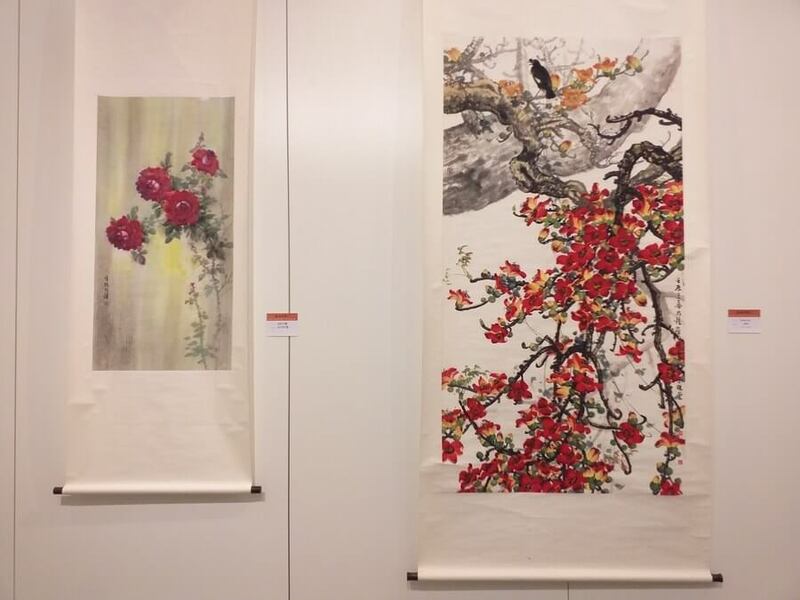 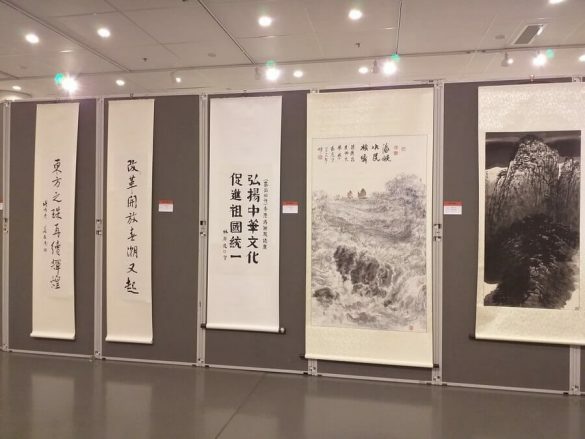 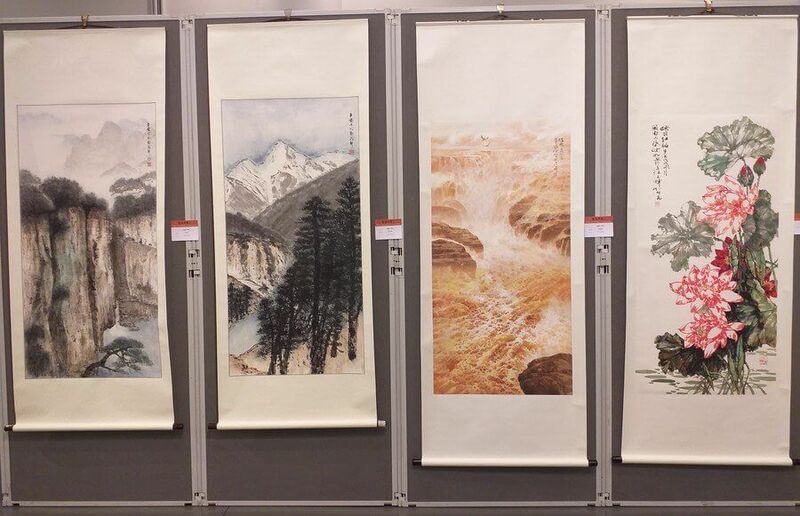 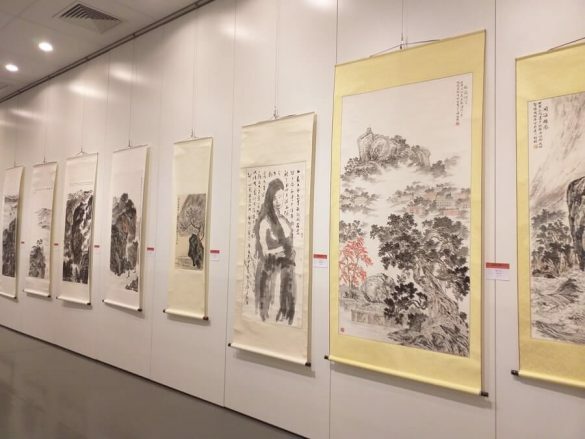 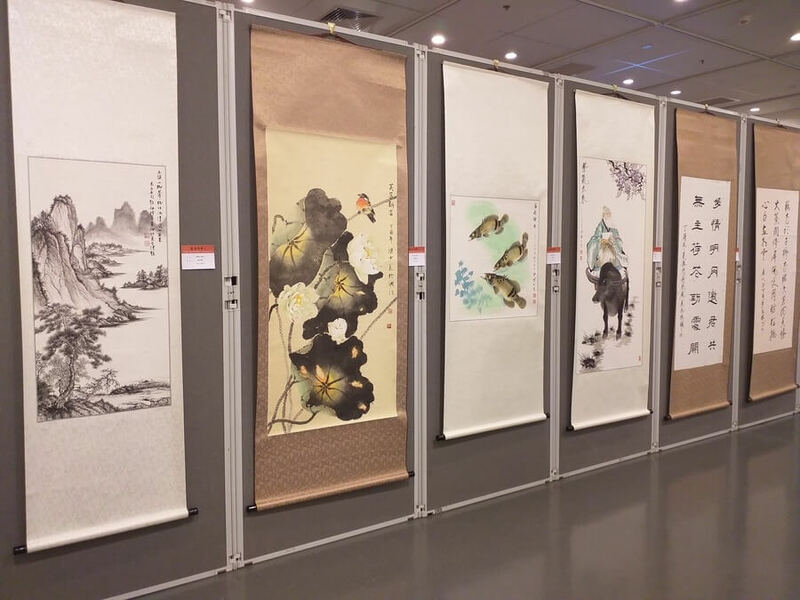 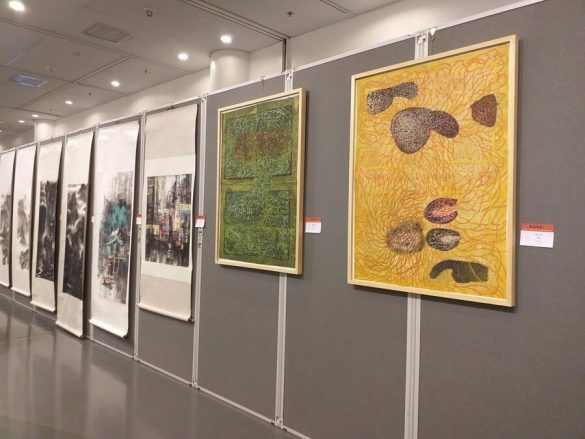 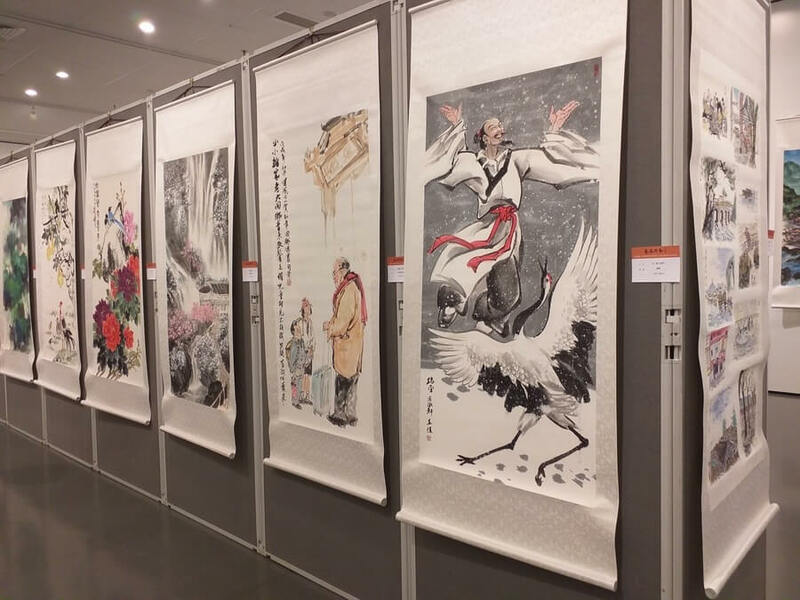 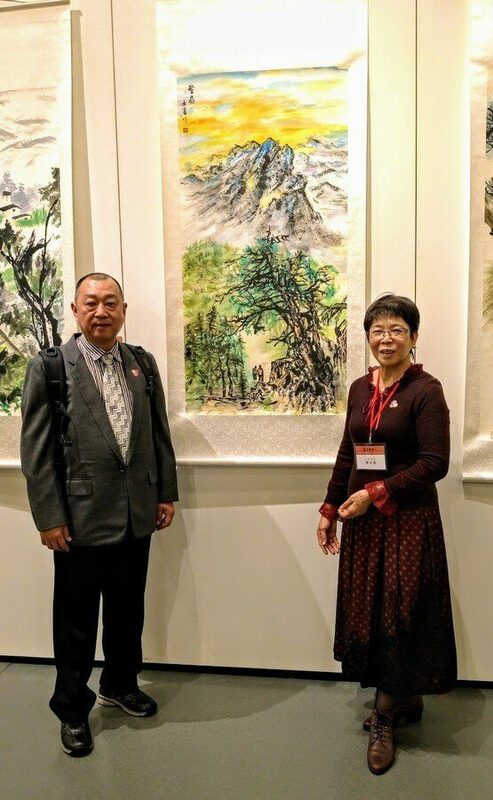 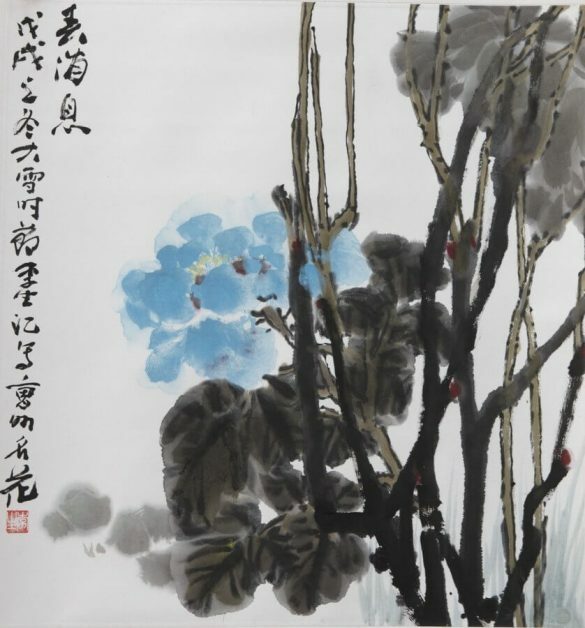 More than 150 artists from four sides of the Taiwan Strait participated in the exhibition, displaying nearly 300 calligraphy, Chinese painting and oil paintings. 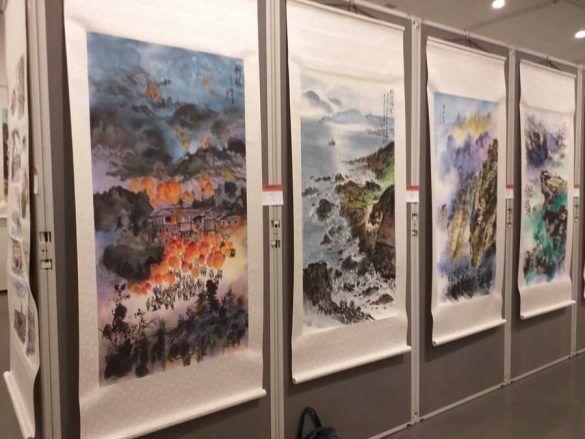 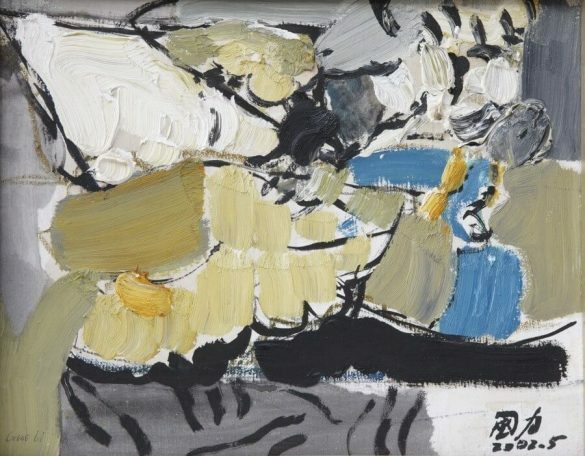 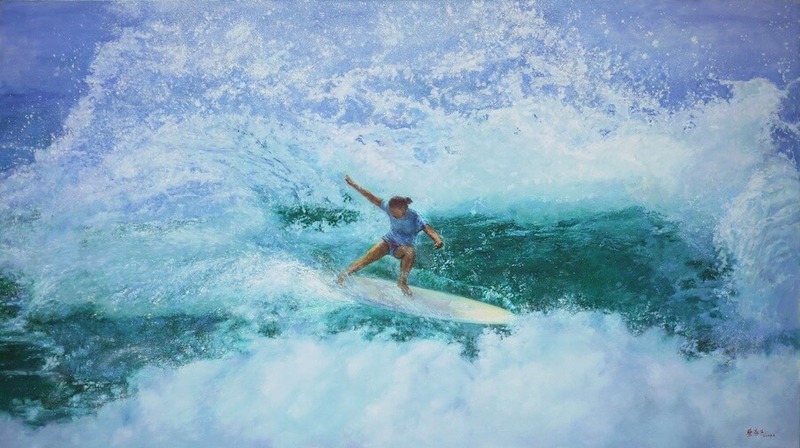 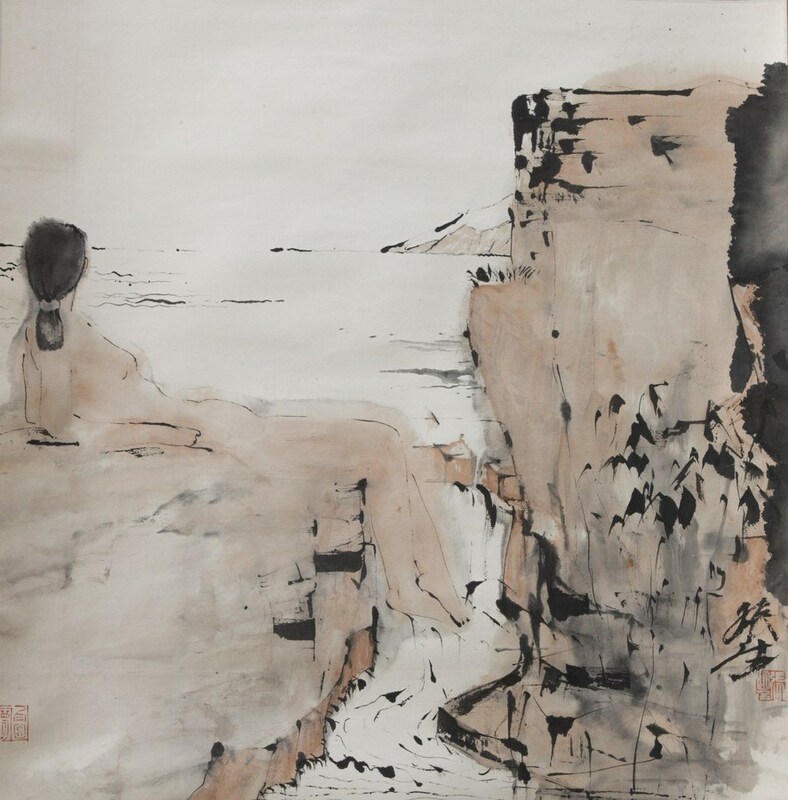 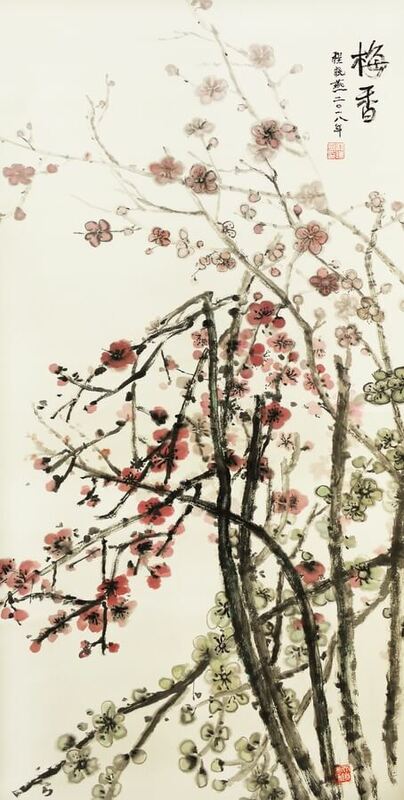 The finest quality shows the current superb artistic standards of the artists on both sides of the strait and the unique charm of the Chinese national culture, and promoted the in-depth development of cross-strait cultural and artistic exchanges. 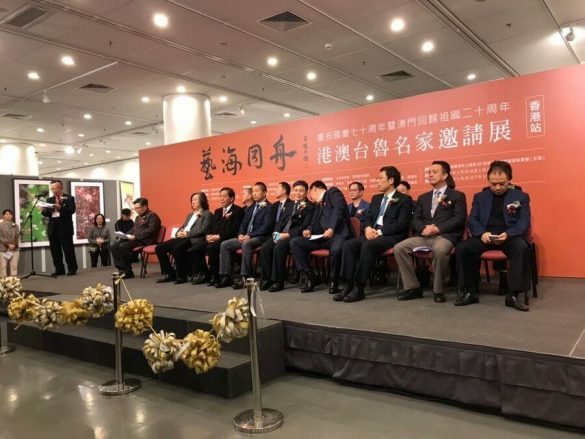 Lee Wou Yuan, Chairman of The Hong Kong, Macao and Taiwan Association, led 27 Taiwanese members to participate in the opening ceremony. 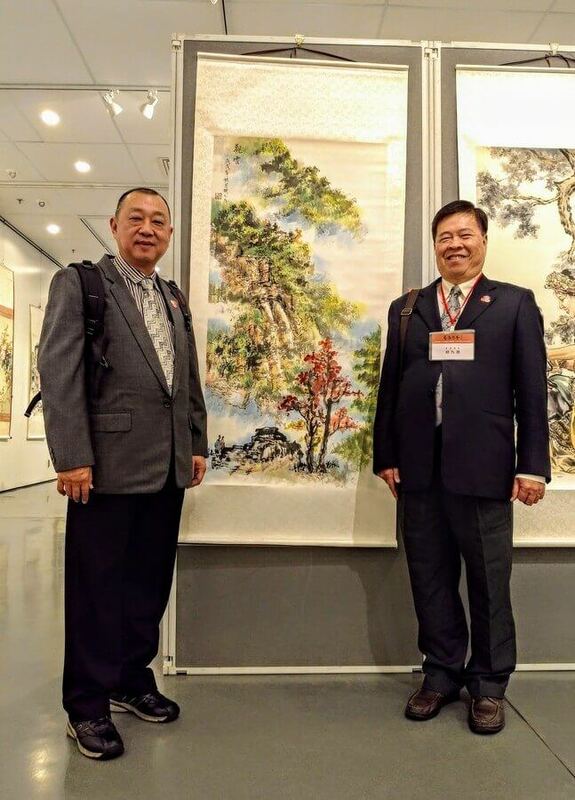 The Macao delegation has come to Hong Kong to participate in the exhibition. In addition to bringing nearly 40 pieces of richly-written works, it also hopes that the two sides of the strait should strengthen cultural exchanges and hold similar exchange activities. 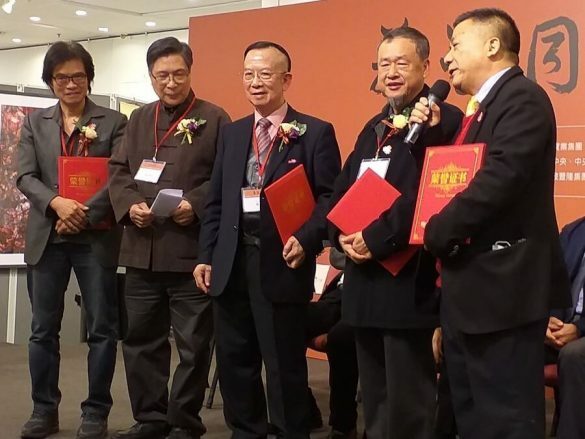 Chang Wang, Chairman of the Shandong Artists Association, Yao Zhisheng, Chairman of the China Association for the Promotion of Peaceful Reunification, Chang Bin, Chairman of the China Cultural Industry Association, Qiu Weiming, Chairman of the Hong Kong Hao Tian Development Group Limited, Wu Hao, Member of the Standing Committee of the National Committee of the Chinese People’s Political Consultative Conference, Jiang Zaizhong, Chairman of theHong Kong Ta Kung Pao News, and Yan Xijun President of Singapore the Hong Leong Development Group Limited, , Cai Haojie President of Hong Kong, Macao and Taiwan Association, Situ Naizhong President of Hong Kong, Taiwan Chairman Lee Wou Yuan, Macau President Liu Fuye, Vice Chairman Zeng Guoming, Hong Kong Arts Group Chairman Hsiao Huirong, Hong Kong Culture and Art Promotion Association President Liu Ruoyi, Hong Kong, Macao and Taiwan Association Vice-Chairman Tsai Guoheng, Chairman of the Board of Directors of the Cross-Strait Peaceful Development Association, Hsiao Shengli, and19 VIP guests of Hong Kong Liaison Office, there are nearly 200 guests from four sides of the Taiwan Strait participated in the event. Tsai Haojie, chairman of the Hong Kong, Macao and Taiwan Association, said that the Chinese national culture is the common spiritual home and soul pillar of the people on both sides of the strait. The national prosperity is the common blessing of compatriots on both sides of the strait. 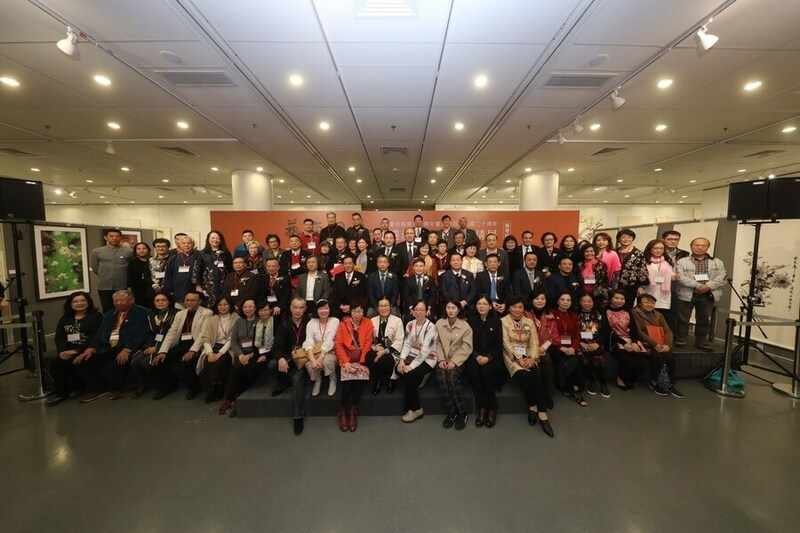 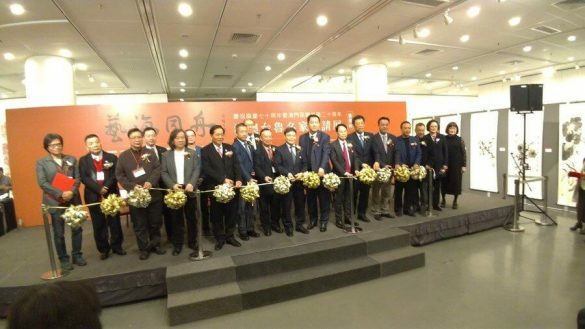 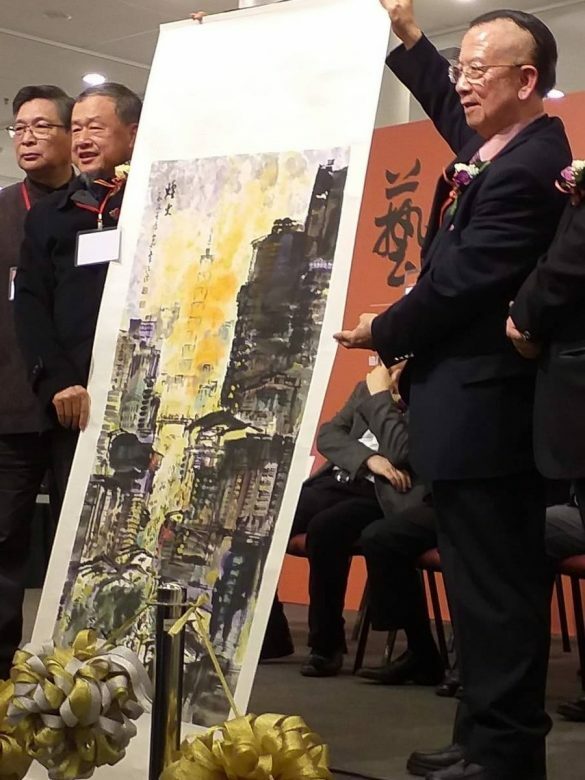 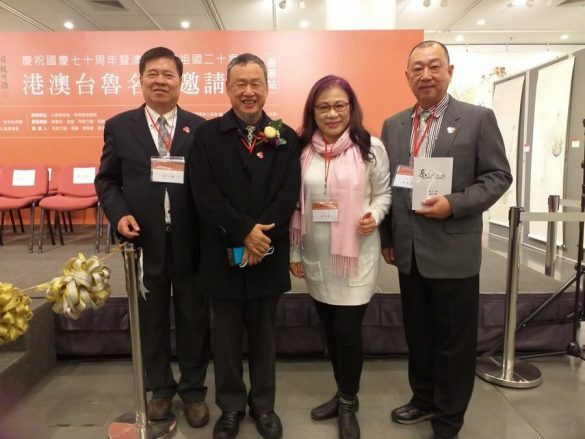 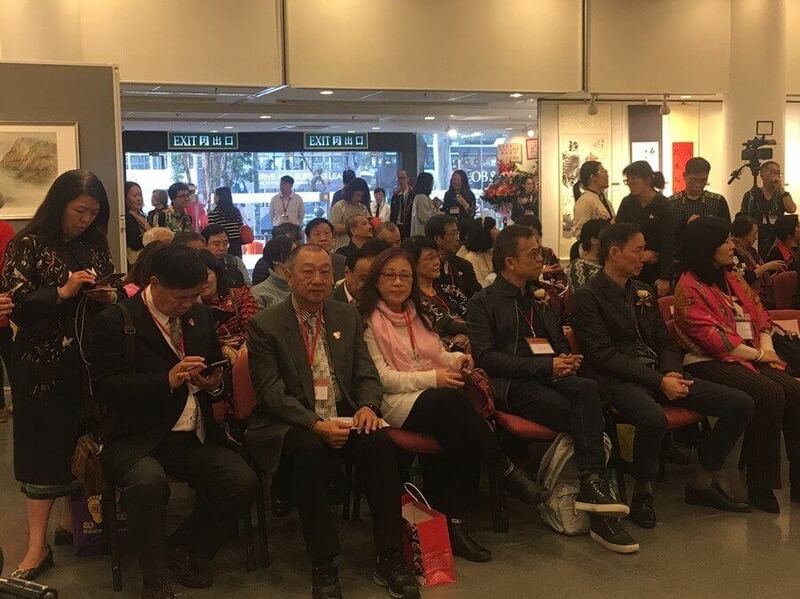 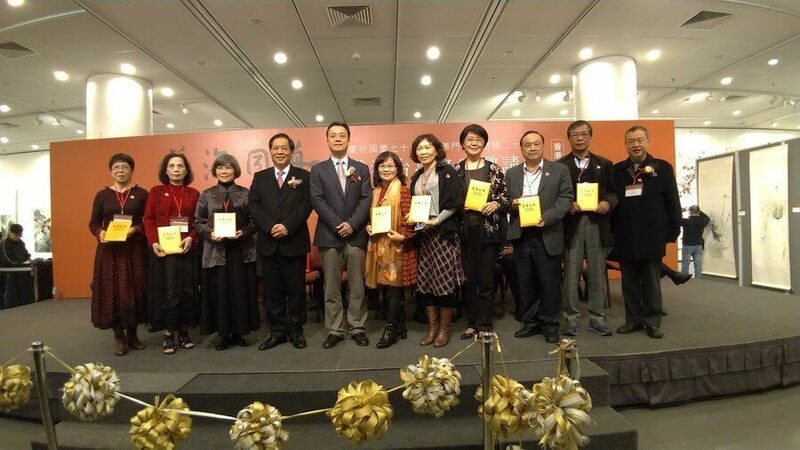 The Hong Kong, Macao and Taiwan Association is committed to inheriting and promoting the Chinese national culture, building a cross-strait cultural and art exchange platform, and cultivating new artistic power to provide a broader creative display space and market environment for Hong Kong, Macao and Taiwan and mainland art circles. 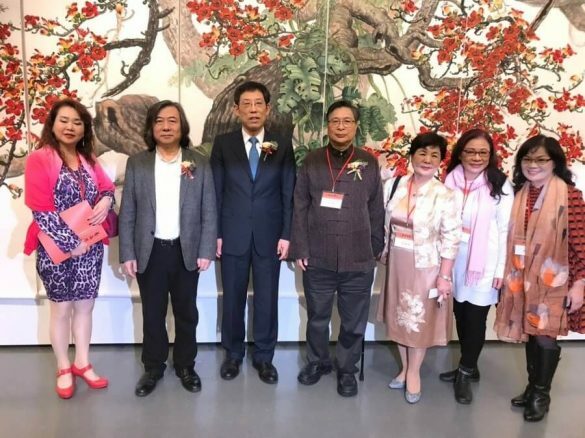 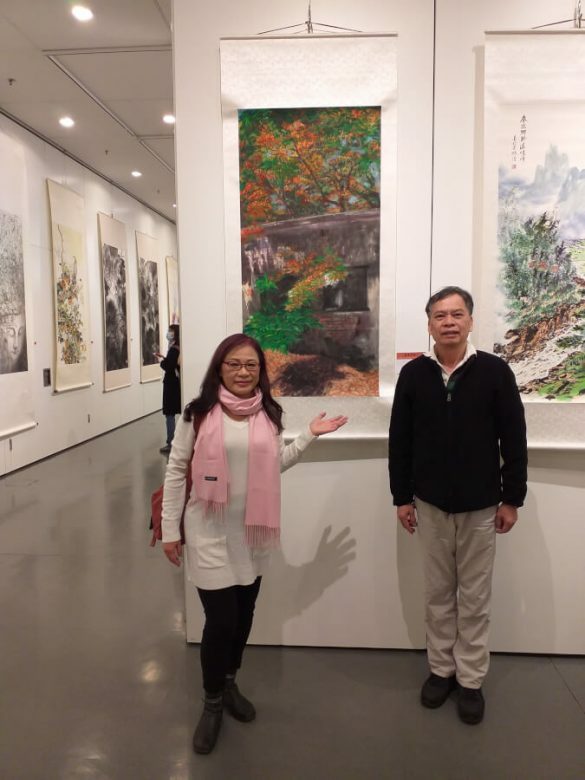 Situ Naizhong, chairman of the Hong Kong, Macao and Taiwan Association of the United States, said that through the exhibition, he profoundly realized that culture is the soul of a country and a nation. 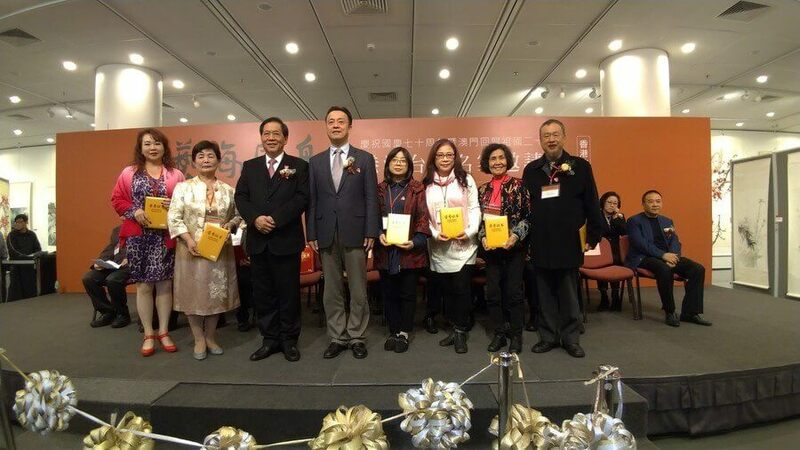 Cultural self-confidence is the most basic, deepest and most lasting spiritual force in the development of a country and a nation. 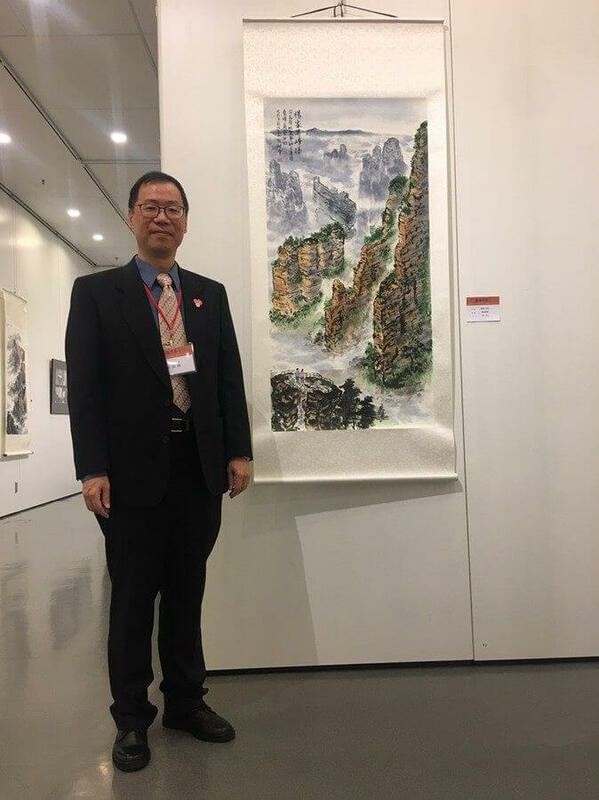 We must strengthen our cultural self-confidence, promote cultural innovation in practice, realize cultural progress in historical development, let us unite together, ride the boat of art, ride the wind and waves, and march forward bravely. 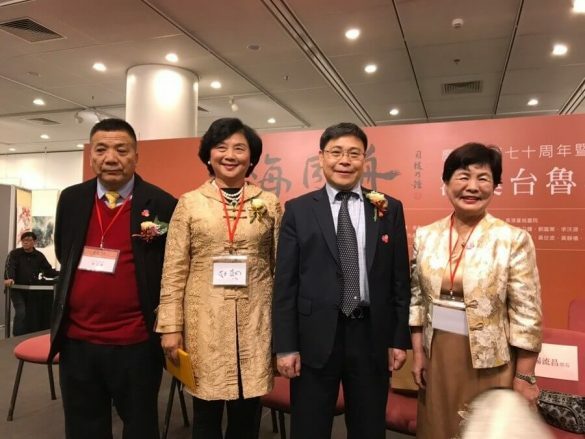 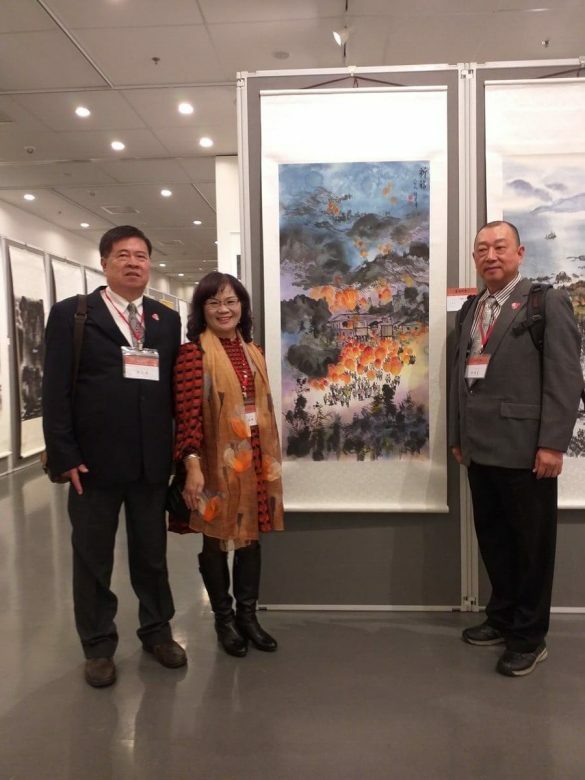 Liu Fuye, chairman of the Hong Kong, Macao and Taiwan Association of Macao, hopes that the two sides of the strait should strengthen cultural exchanges, hold more similar events, and said that the next time of “Art in the same boat ” has been planned to be held in Taiwan, and hopes that Macao will after continuing in Taiwan. Lee Wou Yuan, chairman of the Hong Kong, Macao and Taiwan Association, pointed out that a family of four sides across the Taiwan Straits, with the leadership of Chairman Tsai, Taiwanese painters have been to Shandong, Beijing, Xiamen, Hong Kong and undoubtedly under the same historical textbook of Chinese culture. 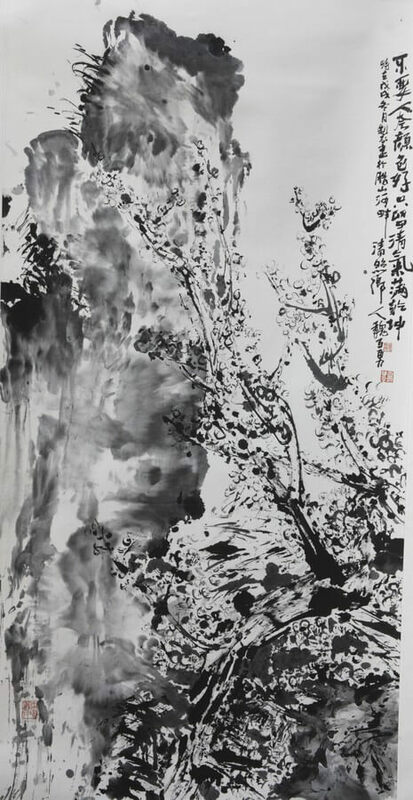 It has given us abundant nutrients. 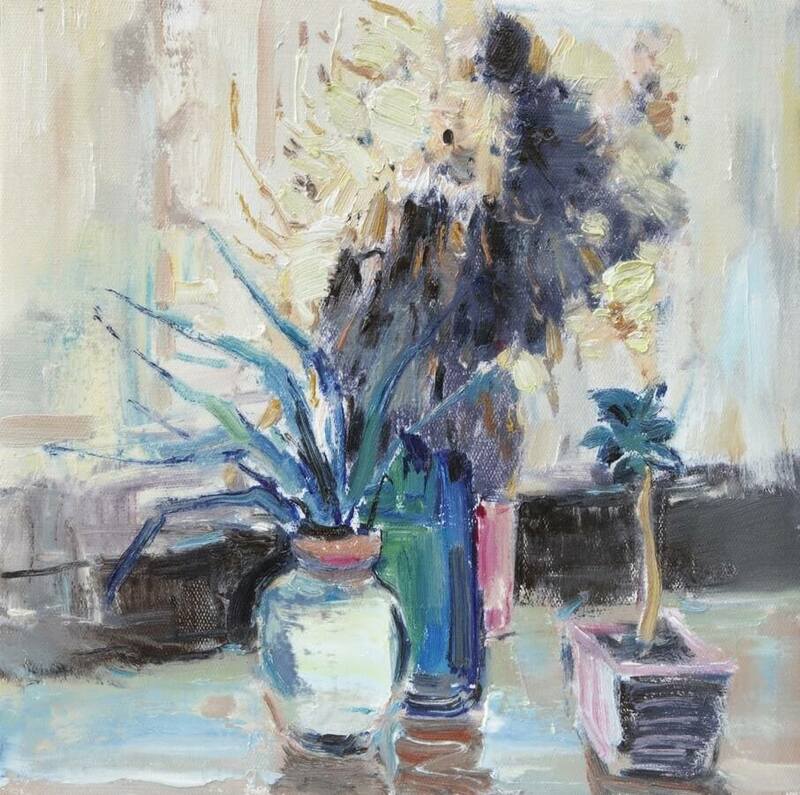 He often encourages the association painters to go out of Taiwan and go to the mainland China and the world. 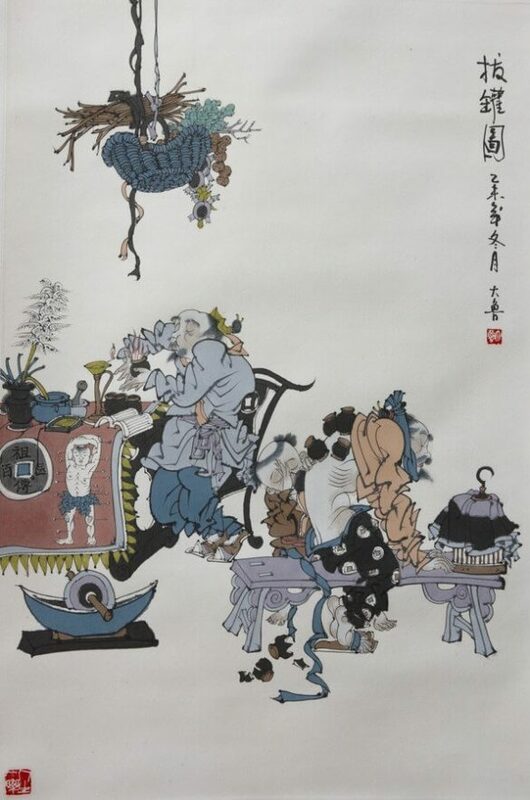 It is a must-have homework for the painters.